Graybeard Outdoors > Rifle and Optics Forums > Ruger Rifles and Shotguns > Ruger 10-22: Why is it so great? I'll go along with a couple of comments here. The M1 Carbine styling and the revolutionary flush mount rotary mag. I gave my 1022 to one of my sons. I kept it around for about 10 years, and tried to like it, but never did. In an auto I preferred the old Model 60, but my preference is an old Marlin Golden 39A. It'll shoot shorts, longs & long rifles. Mixed. I'll add, its easy to work on. My wife installed the replacement bolt-hold open lever - part was $2. My wife is not a gun person, and only did it because its her 10-22. Of all the guns I've ever bought with her in mind ... don't look at me like that ... her 10-22 Compact is the only one she claims. If you go to an Appleseed shoot, you'll see lots of 10/22s on the line, a lot of them stock. The rotary mag is super handy for reloads during transitions on a course of fire. And the reliability factor is key - I've yet to see a 10/22 taken off the line for repair/maintenance during a shoot. Marlin 60 is the next popular one at Appleseed. I've got 3 right now, mine is a TD with TSR sights, and action work. Wife's compact TD with custom walnut stock, shortened barrel, FO sights, AO scope, jewelled and radiused bolt, action work. And my son's early edition with see through rings and a Bushnell scope, unmodified. Tens of thousands of rounds through them with nary a hiccup ... its hard not to like. The mags on my son's are probably 40 years old, and still work like brand new - that's rare for me, particularly given the round count. Well, I've only personally owned the 10/22 and a nylon 66, but I've worked on all of the ones mentioned by the op. The 10/22 and nylon 66 I've seen the least of, needing actual repairs. Then the marlin 60, and the Remington 597 was the worst. As for pita to work on, the nylon 66 is the worst, followed by the marlin 60, then the 597, and the 10/22 the easiest. As for how dirty it gets, the nylon 66 and marlin 60 are close. They get crap packed into every conceivable part of the entire action. The 597 is next. The 10/22 seems to get the least amount back into the trigger area. The 10/22 and marlin 60 both just seem to run and run, if the owners just leave them be. The nylon 66 will run quite dirty also. The 597 chokes the most. It's also the one that needs parts most often, with the marlin 60 next. The 10/22 and nylon 66 rarely needed parts. Just my views, from the repair bench. Last Appleseed I attended had two AR-15s, one Marlin 60, and everything else was a Ruger 10/22, most in stock factory configuration (including several Anniversary and Collector Edition versions) but a few had aftermarket stocks. As long as the mag drops free under its own weight, they are a great rifle for Appleseed - and if the mags don't, usually all it takes is a quick pass with a file to relieve the mag well a bit (seems to be more of an issue with the modular plastic stocks that come on the Collector Edition rifles). 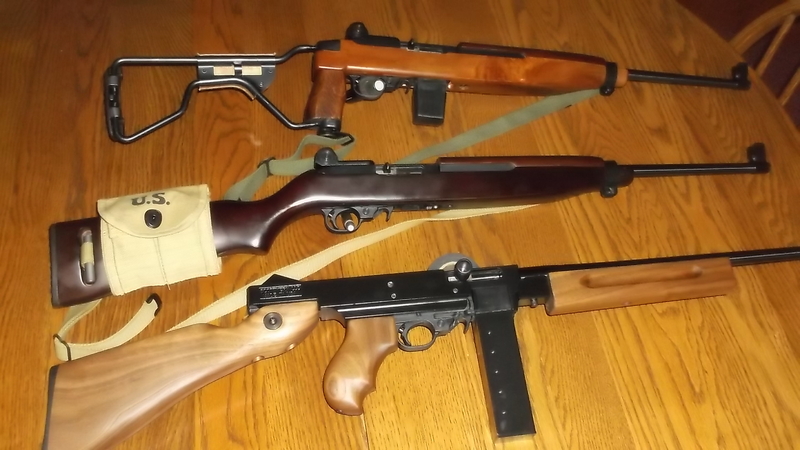 I like them so much that I have acquired 4 Collector Edition rifles and added standard GI web slings to use as loaners at the Appleseed events I attend, and use them for the youth and family camps I run the range for over the summer. The only thing I did to them besides adding the sling was to replace the trigger groups with Ruger BX triggers simply because I find it easier to teach proper trigger control with a good trigger, and the BX triggers are really good for the money. Not sure why Ruger doesn't include them with the better models like the Collector Edition rifles. All of them are capable of 1/2" groups at 25m with bulk Blazer ammo, and they never miss a beat on the line. Are you an Ohioan that is interested in becoming more active in the fight for your 2A rights? PM me or click here! I've enjoyed my 10/22's. I think they are a bit like the 1911 or maybe even a Harley Davidson MC..? You could use one as-built, but people like to "make it their own". I fitted one with a heavy barrel, but it never shot as well as some other dedicated target .22's I've owned. But it shot well enough to stay interesting. I did send one to Chief AJ for a full tune and was stunned at how well it worked when I got it back. That was a Deluxe Sporter model with the checkered stock and no barrel band. I had tried several brands and types of ammo before I sent it to his shop and he did a barrel polish, recrown, trigger job, mag release lever extension and etched his "Chief" logo on the gun. It is solid up to 75 yards or so, but the fast twist wasn't helping at 100yds and spinning the groups into patterns, just as Chief AJ had said they would. I did quite well in sporter class silhouette that season and was the only one shooting a "stock" 10/22. Not disliking the 1022.I have one and like it.But why,with the R and D long paid for is it still priced above the Marlin and Remington 597? I realize the fit and finish plus quality of the Remington 552 is there but they are priced beyond the average budget.Any thought a on that? In all the comments that refer to rifles other than the 10/22. there has never been mentioned the Winchester 190 or 290. Why is that? 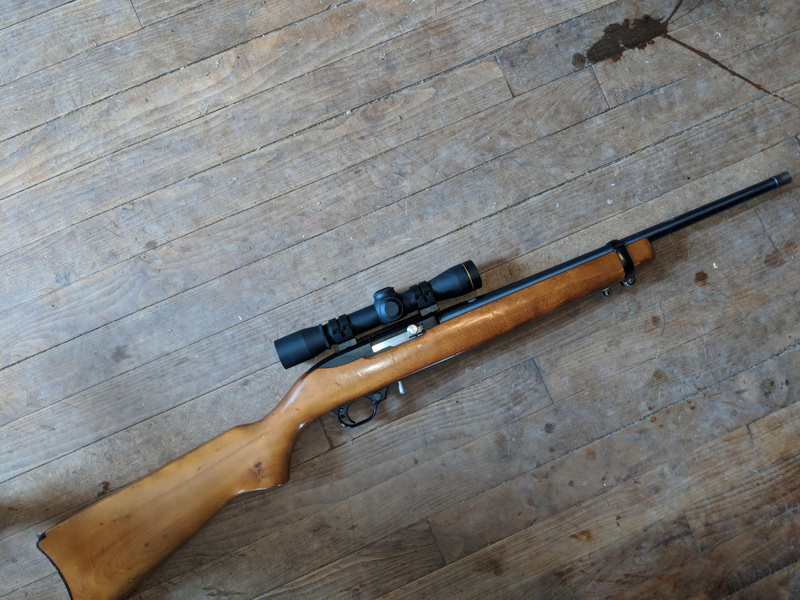 I have a 290 of late 60s or early 70s vintage and it is a great rifle. I also have a stock 10/22 and I love it. This is why I own 10-22s. I like the 10/22 alot. I've had my carbine for almost 44 years.